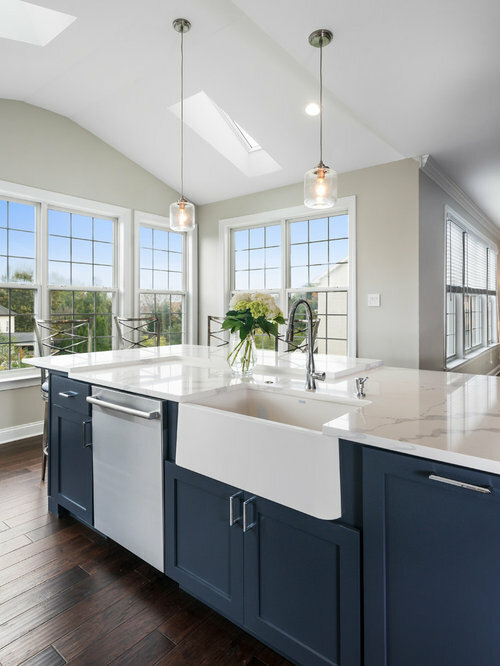 This spacious kitchen design in Yardley is a bright, open plan space bathed in natural light from the large windows, doors, and skylights. 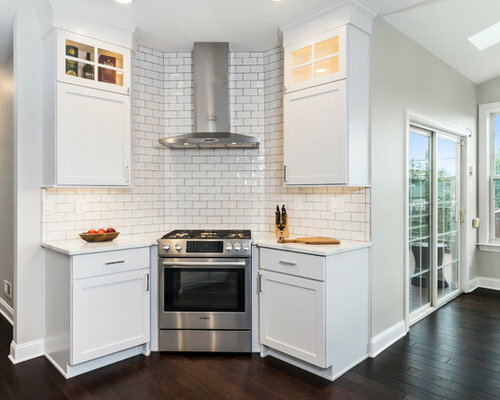 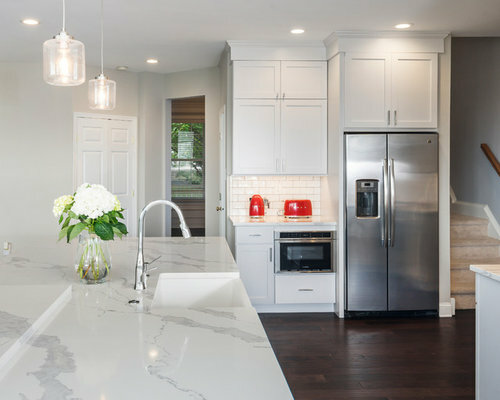 The white perimeter cabinets from Koch and Company are complemented by handmade subway tile and MSI Surfaces Calcatta Venice quartz countertop. 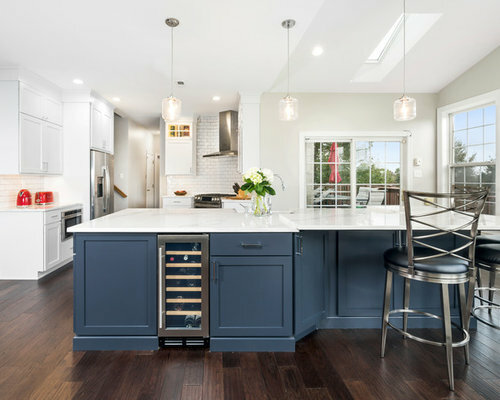 The white color scheme is beautifully contrasted by blue island cabinetry with a bi-level countertop and barstool seating. 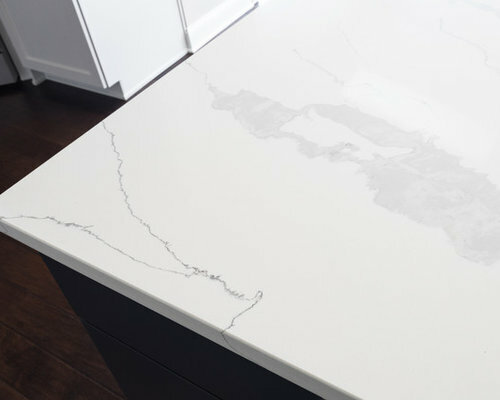 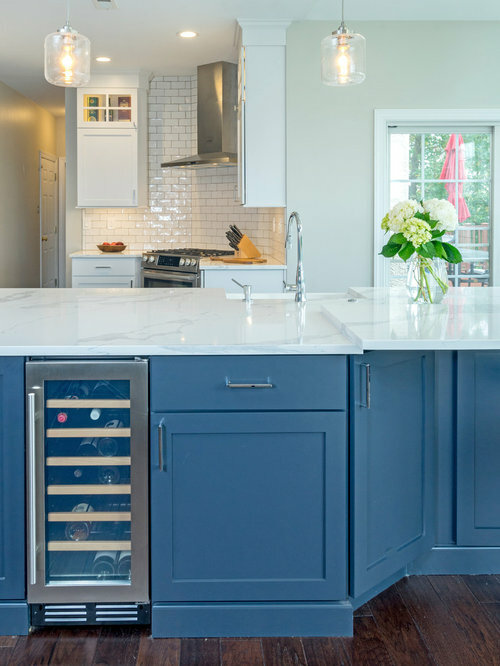 The island also includes a Task Lighting angled power strip, a narrow wine refrigerator, and a white Blanco Siligranit apron front sink with a Riobel Edge faucet and chrome soap dispenser. 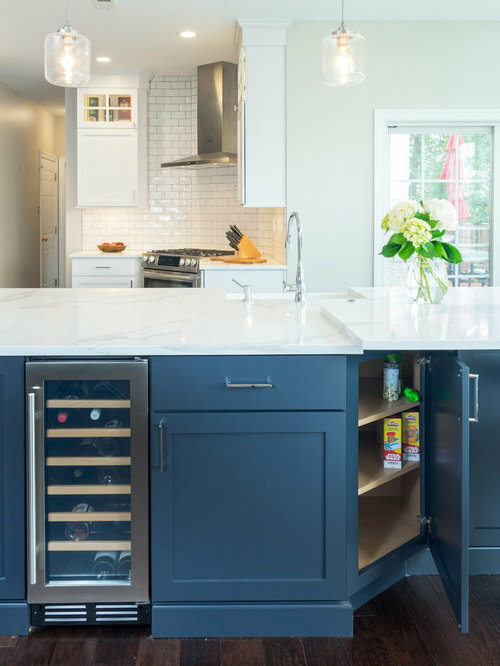 The kitchen cabinets are accented by Top Knobs Lydia style pulls in chrome. 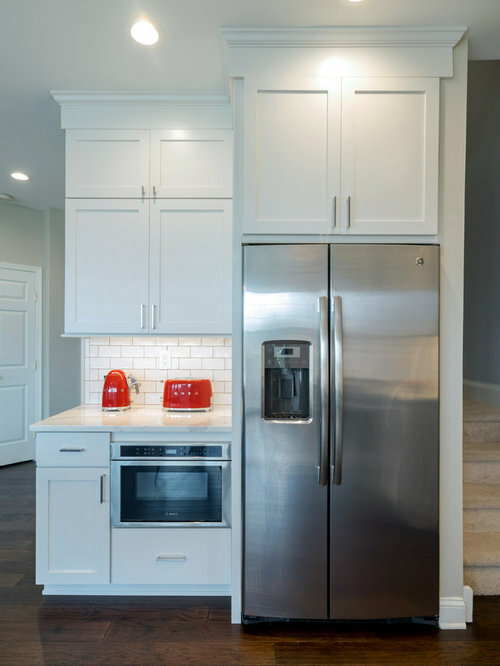 Bosch stainless appliances feature throughout the kitchen, including a microwave drawer and a Bosch stainless chimney hood. 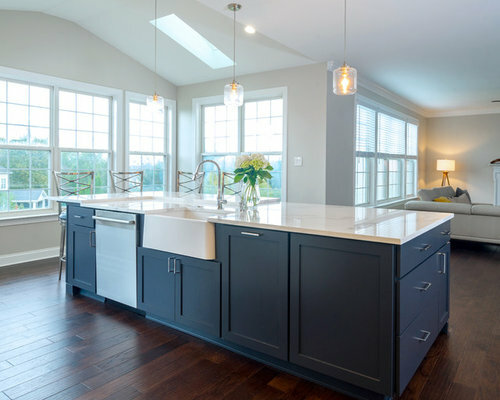 Dark hardwood flooring from Meridian brings depth to the style. 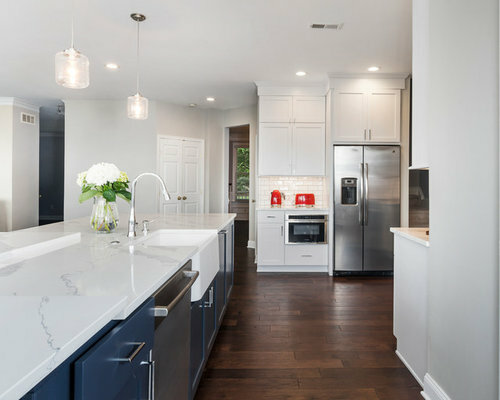 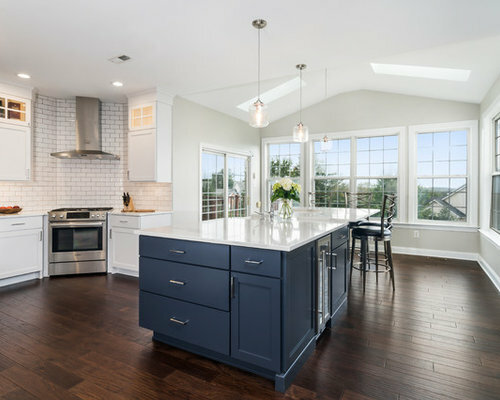 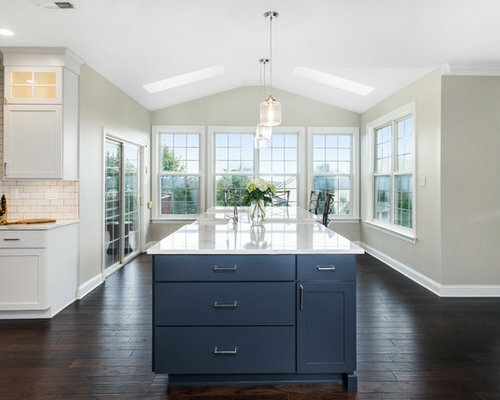 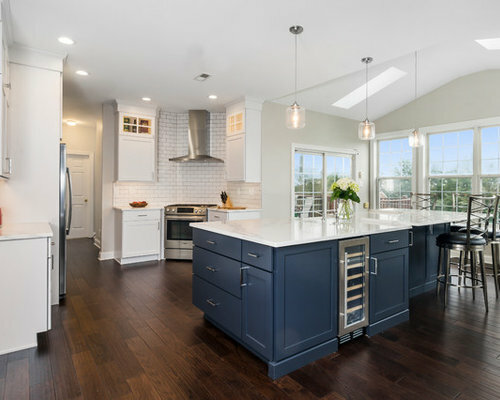 The natural lighting is complemented by pendant lights from Wage Lighting, undercabinet lighting, and upper glass front cabinets with in cabinet lighting.